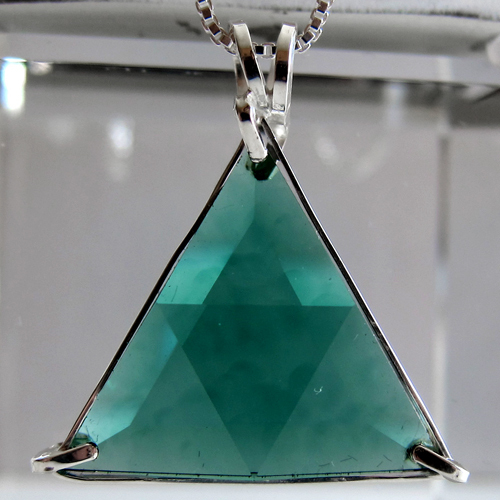 Dimensions (HxWxD): 1.2" x 1" x 0.25"
This beautiful Vogel cut Siberian Green Quartz Star of David crystal pendant is of exceptional quality, both in the cut of the stone and in the simple silver band setting which allows the stone to breath and function at its highest vibration. It comes with an 18" sterling silver chain which sits upon the thymus, between the throat & the heart chakras, where it will be of most beneficial resonance. 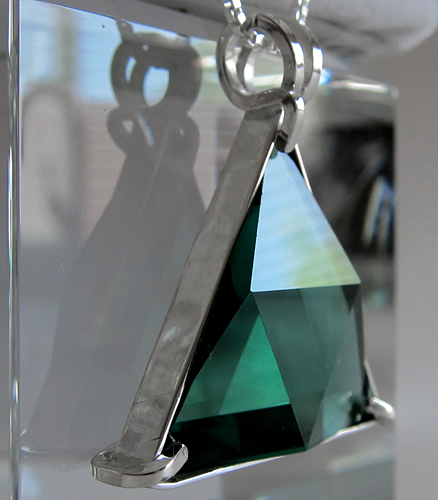 This piece is VERY clear with a lovely pale bottle-green color. The Star of David pendant is perhaps the most protective type of pendant available to Lightworkers, meditators, and all those who wish to strengthen their aura and shield themselves from unwanted interference, negative environmental energies and negative collective thought forms during this turbulent time of cultural transformation. 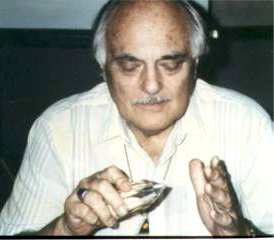 The Star of David cut is one developed by Marcel Vogel (IBM research scientist and founder of Psychic Research, Inc.) and exhibits two triangular cuts, one triangle pointing up and the other pointing down, symbolizing the higher and lower trinities, the coming together of Spirit and Earth, offering the wearer protection, wholeness and access to the Higher Self. This is an excellent crystal to wear while meditating or to simply add beauty to your day. The Siberian Green Quartz Star of David facilitates the elevation of Universal Life Force Energy from the lower chakras to higher chakras, while opening and energizing the heart chakra, which is often considered to be a green color in the Western chakra system. Note: Weight above is shipping weight. Each piece is unique and may vary slightly in appearance. Each piece is guaranteed to be beautiful and to meet with your complete satisfaction!